"To discriminate further against Ms. Kulstad because of her sexual preference in this day and age is no different than telling a person to go to the back of the bus because of her skin color," Judge Ed McLean wrote. Why are fathers still being told to get in the back of the bus when it comes to child custody determinations? According to Dr. Stephen Baskerville, Ph.D., author of Taken Into Custody, roughly 80% of sole custody awards are given to mothers nationwide. When will the gender bias in America's family courts end? More on this story can be found at Jeanne M. Hannah's excellent blog titled, "Updates in Michigan Family Law"
Be sure to review "Shared Parenting: Facts and Fiction" by Dr. Linda Nielsen - Professor of Women's Studies Wake Forest University. Tell others about the documentary on America's family court systems, "Support? 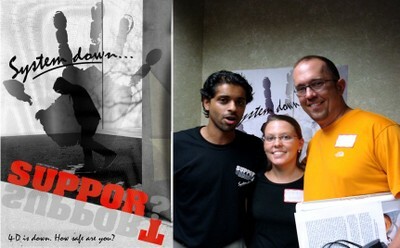 System Down" is making waves all across the U.S.
Michigan's Friend Of The Court-How Petty!!! 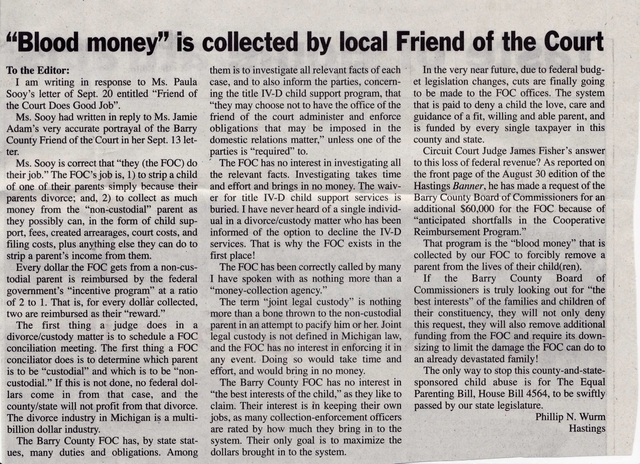 Anyone who has ever been involved with Michigan's Friend of the Court knows that they are nothing more than a money-collection office. Divorced parents, moms and dads included, have spoken out as to the ways they have been treated by the FOC conciliators and staff. Parents have been told to "shut up", silenced with a "that's very annoying", ignored, and their words completely disregarded during conciliations and mediations. Whenever I have the unfortunate and very frustrating necessity of having to deal with my local FOC office staff, I have always taken written correspondence directly to them, instead of mailing it. They had always been courteous enough to "date stamp" and then make a copy for me of all that correspondence. If more than a page, I had always made a copy for them, so both could be date stamped; one for them, and one for me. This involved no expense for them, only a few minutes of time. A few weeks ago, that changed. They had a notice up that copies would now cost 25 cents. Now, the first time, as I had but one page and no copy, I paid them the quarter, and fine with that. The next couple of times, I took a copy, and they still date stamped both-one for them and one for me. It is a mandatory precaution to make absolutely sure that they date stamp and "accept" your correspondence into their office, and that you have a copy for your records. That way, you know for sure that nothing will "come up missing" at a later time, or is disregarded. Now, the last two times, with the regular receptionist at the front window, I have taken my two copies, but they refuse to date stamp the one I keep for my records. I firmly stood on the principle of the matter-I already have paid them for this service. They refuse to do so, because I refuse to pay them the quarter for a copy, instead of using the copy I have brought, at my own expense. Their receptionist told me, when I requested that she simply take my one-page, three-paragraph letter and hold both copies together, and hold them up to a window or a light to verify that both were the same, "NO. I WON'T DO IT." She was mortified and concerned that the copies were not the same. I assured her that if I were going to write more grievances against them, I had more than enough facts to do so, without stooping to the level of trickery and fraud she indicated. Now, if I had taken a multiple-page document in there, I could understand why she could say that she did not have the time to proof-read it, and accept it into the office. But a ONE-PAGE, THREE-PARAGRAPH letter? They just want more money out of the pockets of their forcibly recruited "clients"!! As former FOC enforcement officer Carol Rhodes has written and spoken about, only the money counts with the FOC. Since the taxpayers of Michigan pay their salary, and the non-custodial parents pay several times more than that in fees and all else, is their time not at our disposal? After all, we are their "clients", albeit forcibly inducted into the system. Her attitude left a lot to be desired-very rude, and extremely confrontational. Employees in private-sector customer-service positions get fired for less than that. But, she won't. 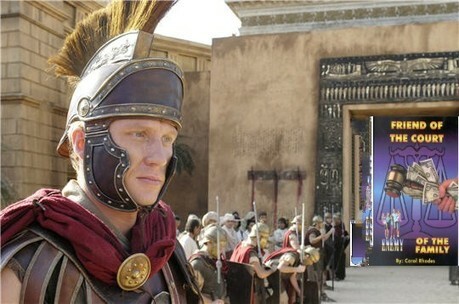 I requested she speak with the head of the local FOC office on this matter, which she did, with a very nasty attitude. She returned, and said, quite haughtily, that she was right for "not accepting and date stamping the copy I had brought". They did not care about the necessary written correspondence I had for them-they just wanted more of my money. The content of the letter was of no concern to the receptionist, or apparently to the FOC administrator. It's no wonder that our Family Law Court System wants nothing to do with Equal Parenting. Passage of House Bill 4564, The Equal Parenting Bill would eliminate a lot of the cushy FOC jobs, and reduce the caseload for the courts. A lot of them would lose their current standard of living, and have to find a new job. They do care about that. They DON'T care when a non-custodial parent becomes unemployed or gets downsized! I'm sure that many, many more of you have a FOC "horror story" to tell. Please do-to your local newspaper, your friends, neighbors, co-workers, and anyone else who will listen to you. Parental Alienation Awareness Day is April 25th. Do You Know Someone Who Has Used This Form of Child Abuse? Tomorrow you have a duty. You have the responsibility of telling others that April 25 is Parental Alienation Awareness Day! Parental Alienation is all too common now during and after divorces where children are involved. Essentially the parent which attempts to alienate the other parent is too consumed in their hatred towards the ex-spouse to even realize the tremendous damage they are doing to their own children. Parental Alienation can be subtle or openly pursued. Mothers and Fathers can both be responsible for Parental Alienation. They do not love their children enough to place aside their hatred towards their ex-spouse. Moms and Dads aren't the only ones which can use parental alienation tactics. Grandparents can become child abusers as well by bad mouthing the father in front of the children. It is all too common to find that they were responsible for parental alienation towards their own children if there was a divorce in the mix. Sadly, they can shape their own children to be adults that use parental alienation tactics. Children of divorce have already been through enough and will have many additional challenges just because of their parents getting a divorce. Parents and grandparents should love their children/grandchildren enough to eliminate any form of parental alientaion. Parental Alienation is indeed child abuse! A few examples of Parental Alienation can be: 1) Mom tells Dad he is a "deadbeat dad" in front of the children. 2) Mom refuses to allow meaningful time for Dad to form an appropriate parent-child relationship which includes nuturing, educating, reading, loving, guiding, playing games and toys with the child, etc. 3) Mom allows her friends that visit to speak poorly about the Dad in front of the children with no correction by Mom. 4) Bad mouthing or undermining the other parent in front of the children. 5) Mom tells children that Dad did not call when he actually did to say goodnight, talk briefly, etc. To clarify again - both genders are capable of parental alienation. What are some warning signs of Parental Alienation? -'Rescuing' the children from the other parent when there is no danger. Hopefully with films such as Jake's Closet, which we discussed in a prior post, more people will become aware of Parental Alienation and put a stop to it. A true to life case of Parental Alienation was discussed on Dr. Helen Smith's Blog. If you are not reading her blog on a daily basis you are missing out on one of the best blogs on the internet. I have personally worked with this organization and they are excellent. PAAO is leading the movement to get all governors in the United States to recognize Parental Alienation. Does your state recognize Parental Alienation Awareness Day? "Cheated" By Ronald E. and Ariel D. Smith - full disclosure - the author Ronald Smith is one of my best friends. Here is a very powerful speech by him. 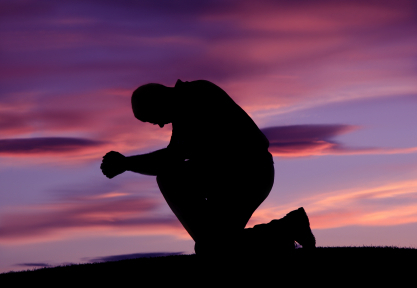 Minister Ronald Smith recently lost his son due to liver cancer. He is always in our thoughts and prayers. I can not say enough positive things about the book below. In fact, I even wrote a review about it on Amazon.com which is something I rarely make a point to do. There is a reason why the ratings of this book are so high - it has helped many loving parents throughout the United States. The part that pulls on my heart is the line "Don't talk bad about my other parent like that. I still love them. And your words HURT me." 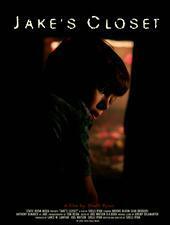 Jake's Closet is an award winning and shocking movie about a child caught between his divorcing parents and the parental alienation that is all too common in heated divorces. Wow! You must view the trailer for this haunting movie. When visiting the Jake's Closet movie website you find yourself looking around Jake's room. Explore yourself and learn more about this movie. Live in Michigan? Please join, RSVP and attend A Child's Right upcoming meeting. This meeting is for District Advocates and Regional Directors. 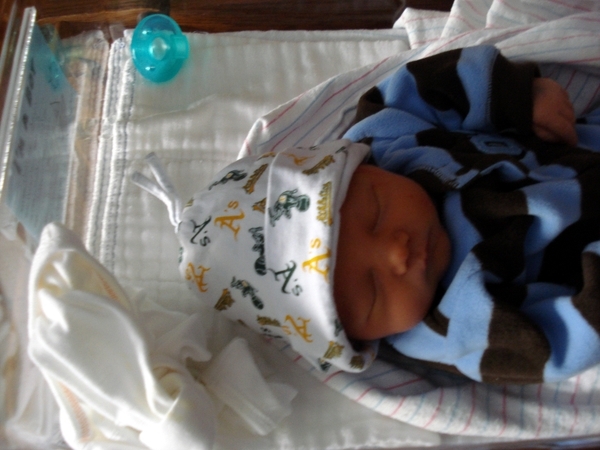 Anthony Ciaus Pedersen ready to come home! Go Oakland A's! Wow did we create a cute baby! Wow! What an awesome smile! Dad thinks Mom is smokin hot, super smart, a true friend and most of all his soul-mate! 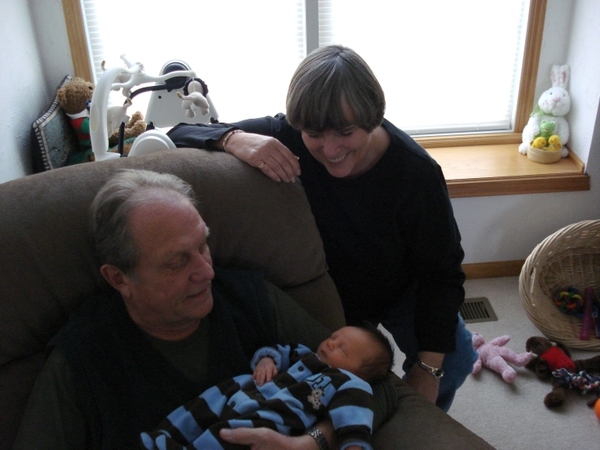 Grandma and PaPa Pedersen enjoying the addition to the Pedersen family. Grandparents to seven grandchildren! The National Fatherhood Summit in Grand Rapids Michigan was a smashing success! Learn more. Anthony Caius Pedersen will be born literally any day now! We are so excited we can barely contain ourselves! P.S. Rumor has it that Anthony Caius Pedersen will be born with full battle gear as a patriot of smaller government and Equal Parenting Rights! Government has no place in families. Children have a fundamental and God-given right to be loved, guided, nurtured and educated EQUALLY by both fit and willing parents. To deny this is wrong. Six days a month is child abuse. Equal Parenting Rally in front of a PA courthouse! 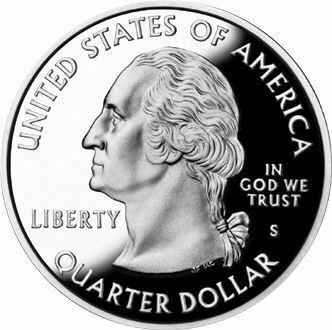 Robert Pedersen discusses the National Fatherhood Summit and equal parenting rights on Trial by Money with Fred Neff. Trial By Money can be heard live in Riverside Iowa on 1690AM and across the world through StarDust Radio's extensive online presence. Richar Farr and Lary Holland dial in to add their perspectives to the conversations. The Media Coverage of the National Fatherhood Summit continues to grow! 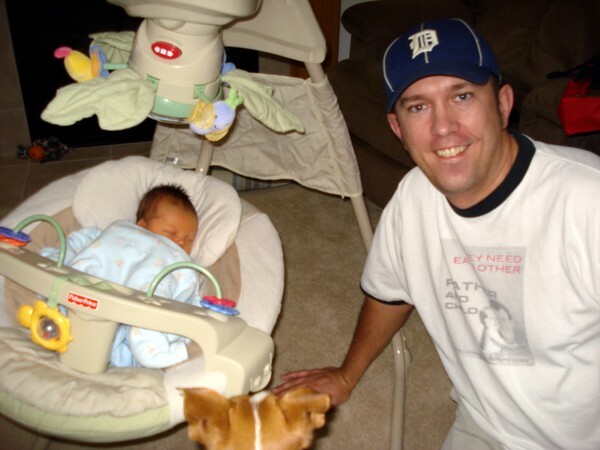 A Child's Right was able to obtain the coverage for the Jan 4 2008 National Fatherhood Summit in Grand Rapids, Michigan. Buy a Jan 1st paper to view or view this story online now. Please regsiter now for this historic event! experts, advocates and a Michigan District Court Judge will be speaking at this historic event! the need for repair of fatherhood nationwide. 2nd Annual Family Preservation Festival which is to take place on August 15th-17th 2008 at the Lincoln Memorial in Washington, D.C.
Carol Rhodes - Author "FOC Enemy of the Family"
Alicia Crowe, Esq. & Author "Real Dads Stand Up"
"Possible Address Via Taped Interview"
Dr. Linda Neilsen - President of ACFC & Author "Embracing your Father"
It is very important to note that this Fatherhood Summit is a National event and NOT exclusive to just Michigan. 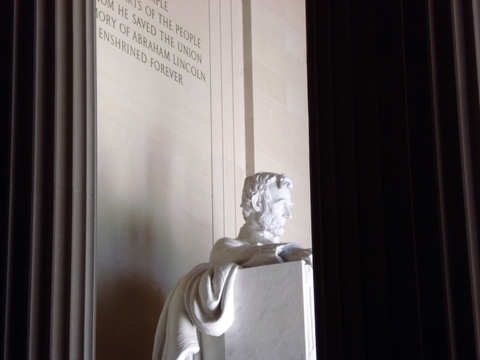 This is the first event leading up to the 2nd Annual Family Preservation Festival which is to take place on August 15th-17th 2008 at the Lincoln Memorial in Washington, D.C. The Fatherhood Summit will bring together husbands, wives, mothers, fathers and grandparents in an effort to begin the New Year recognizing the need for repair of fatherhood nationwide. This event is packed with an incredible list of speakers, elected officials and family preservation experts! This Event is for Wives, Husbands, Mothers and Fathers, and Grandparents...All Family Support Units. We are Beginning the Year on One Accord and Interjecting the Spiritual Aspect of Fatherhood Combined with Activism. Bring Your Planners and Let's Get Busy. 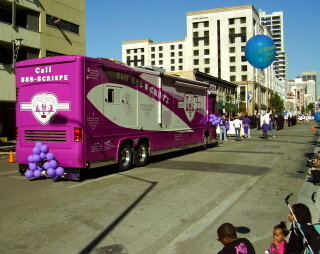 This is the First of a Series of Events Leading to DCRally2008. A Child's Right will soon become A Child's Right, Inc. There will be several fund raising events to help A Child's Right raise the funds to fully complete our 501c3 application. The process has already started but we will soon need additional funds to meet several federal requirements for a 501c3 non-profit corporation. 2008 will be an exciting year for this organization. In 2008 A Child's Right will also form a much closer alliance with Children Need Both Parents, Inc which is led by Minister Ronald Smith. 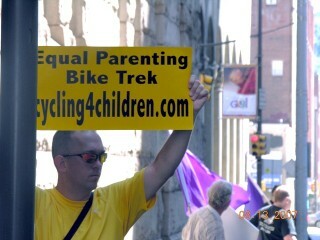 A Child's Right will also once again be a major supporter of the upcoming 2008 Equal Parenting Bike Trek. There will be three cyclists this year: Robb MacKenzie, Robert Pedersen and Attorney Brian Downs, Esq. We are very confident that the 2008 Equal Parenting Bike Trek will obtain even more press and media coverage compared to the 2007 Equal Parenting Bike Trek!! 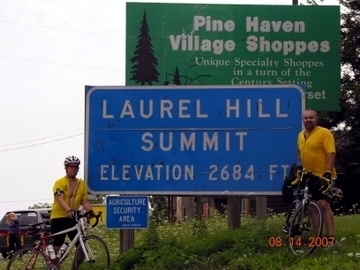 We were very impressed with the media coverage of the 2007 Equal Parenting Bike Trek. Thank you to all who have contributed to the success of A Child's Right, DaddyBlogger and the Equal Parenting Bike Trek over 2007. Have a safe and happy holiday season! Special Thanks to Darrick Scott-Farnsworth, the Executive Director of A Child's Right, and a major force of change in child custody laws! Darrick is an incredible leader, advocate and personal friend. Thanks also to: All ACR volunteers, Paul and Elaine Pedersen, Dr. Eric Pedersen, Marc Pedersen, Sgt. Mike Pedersen, Gladys Kirch, Phil Wurm, Joe Jurecki, Chet Merda, Carol Rhodes, Robb MacKenzie, Robert Pedersen, Ronald Smith, Dr. A Smith, Mike Saxton, Jim Semerad, Rich Postma, Dr. Ross, Jay Fedewa, Brian Downs, Esq., Richar Farr, Dr. Stephen Baskerville, Dr. Stephen Walker, Bessie Hudgins, Glenn Sacks, David Levy, Esq, CRISPE, F4J, Delete, Lary Holland, Chris Paris, Brian Kleiman, Jeff Kapteyn, Esq, Jane Spies, Murray Davis, Torm Howse, Dave Usher, Bob Horvath, Jeff Thompson, Jim Wozniak, Angelo Lobo, Louisiana Dads, Battle Creek Honda, Malcom Hatfield, Pat McElligott, Murdoc Online, Kalpesh Gandhi, Edward Barlett, SAFE, Mike McCormick, John Maguire, Robin Denison, Studio 1714, the media which covered the Equal Parenting Bike Trek, to all the donors of time and money to the Equal Parenting Bike Trek, and so many more who helped our organization. If we forgot to thank you please don't take it personally! 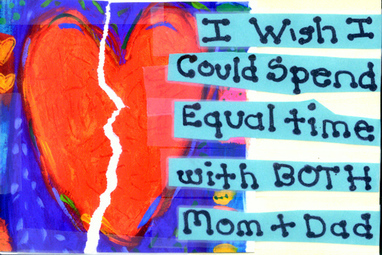 A Child's Right - EQUAL time with both fit and willing parents after divorce! The Fall 2007 issue of "The Liberator" which is published by the ACFC did a phenomenal job in reporting the 2007 Equal Parenting Bike Trek with Robert Pedersen and Robb MacKenzie! Several full page spreads with color were dedicated to this incredible story. We are very thankful for the incredible job that The Liberator staff did on this event. Each issue of this newspaper seems to improve by leaps and bounds! You can order your copy of this newspaper through the ACFC. 1st Annual National Fatherhood Summit. Happy and Safe Holidays from A Child's Right! We are asking everyone to please place January 4th, 2008 in your schedule book so that you can attend the 1st Annual Fatherhood Summit in Grand Rapids, Michigan. Please help us spread the word about this historic event by forwarding this newsletter to anyone that may be interested. You can easily forward this newsletter by using the forward email link at the bottom left corner of this newsletter. THANK YOU FOR YOUR HELP!! John Maguire and the editing staff of "The Liberator" did an incredible job documenting the Family Preservation Rally and the 758 Mile Equal Parenting Bike Trek with Robert Pedersen and Robb MacKenzie. This is truly one of their best issues to date!! For ordering information of the Fall 2007 issue please visit the ACFC Liberator homepage. National Fatherhood Summit - Grand Rapids, Michigan - Please attend and spread the word on this critical event! Please attend and help spread the word on this critical event leading up to the 2008 Family Preservation Rally! The National Fatherhood Summit will be held in Grand Rapids Michigan and this is going to be a huge event. The speakers list below is truly incredible!! Much of the information is below and you can also visit the webpage for the National Fatherhood Summit. Court in Van Buren County? guidance of a fit and able parent? Incarceration If You Don’t Pay Child Support? Court and what you can do about it. Center (old Paw Paw Library), 129 S.
Ronald Smith - Children Need Both Parents, Inc.
2008 Equal Parenting Bike Trek Is Already Picking Up Momentum. Simply Amazing! Twice as many sponsors! Twice as many commitments to donate! An additional cyclist added to the team! More advertising of the event! Two billboards to promote the event - locations are Battle Creek and Lansing. We are anticipating roughly 3-4 times the amount of media coverage! A Child's Right soon to become A Child's Right, Inc. 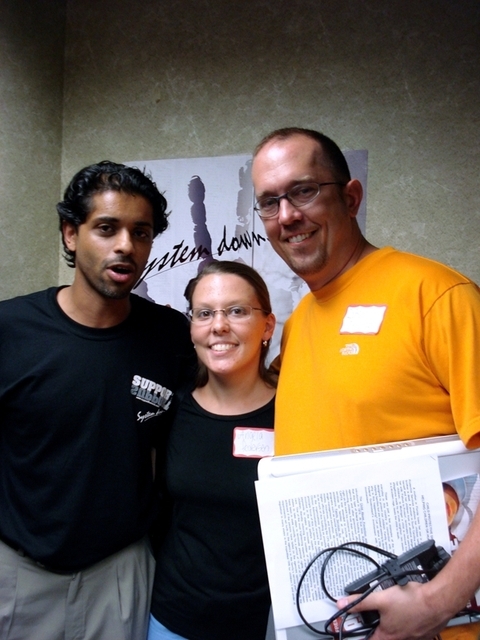 Early 2008 A Child's Right will team up with Children Need Both Parents, Inc for a fund-raiser in the Battle Creek Michigan area for the sole purpose of obtaining the final funding for a non-profit corporation. A Child's Right is honored to work closely with Minister Ronald Smith and Children Need Both Parents, Inc. This will certainly be an exciting event and a night of fun for all. 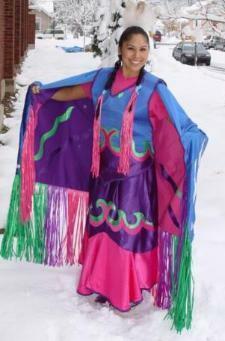 A Child's Right was started in recognition of Robert Pedersen's son and daughter. The organization was created to help parents, children and communities with the negative ramifications of divorce. A Child's Right has also been very active in working on equal parenting bills in the state of Michigan. A Child's Right was also very active in helping with the 2007 Family Preservation Rally and the Equal Parenting Bike Trek. A Child's Right has affiliated itself with Dads and Moms of Michigan and Children Need Both Parents, Inc. What started out as a dream will soon become a reality - A Child's Right will soon become a non-profit corporation and will align itself very closely with Children Need Both Parents, Inc which is increasing being recognized as a significant national organization. Stay tuned for more information on the fund-raising event to help make this a reality. We are very thankful for the leadership of our Executive Director - Darrick Scott-Farnsworth and all of those who have chosen to volunteer for A Child's Right. Minister Ronald Smith of Children Need Both Parents Inc.
DaddyBlogger.com Two Week Pause. WHAT!?!? DaddyBlogger.com will be taking a two week pause starting Monday November 5th. 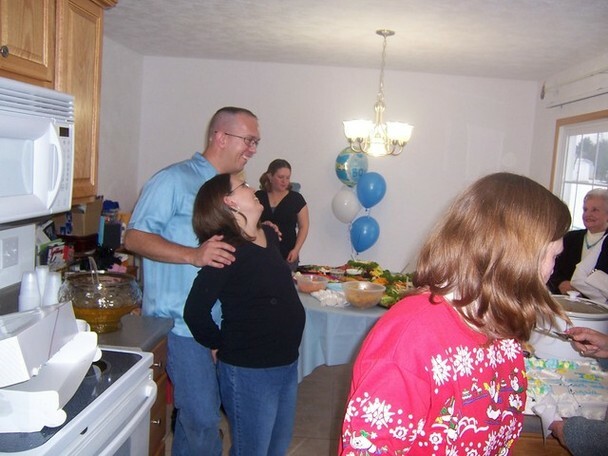 We have decided to do this for the sake of preparing for a potential lengthy and costly child custody case for Robert. Those of you who have been following this knew that we were suppossed to get an answer to our proposal this past week. We are assuming that the answer is no to Robert's proposal because the other party is now requesting to respond in writing which buys more time. It seems that going to court is now inevitable because Robert offered everything upfront that he could. In fact, many have told us that the accomodations we make are way too generous for the case we have. We will not take such advice because the long-term goal is to make long-term peace for both families involved and that is the reason why Robert offered everything he could upfront. Because of this we will not be accepting a counteroffer; only the essential terms of our proposal with some minimal flexibility. Since our time this week will be dedicated to the final stages of preparation for going to court we will be taking a two week pause on DaddyBlogger.com. No this is not a joke. We are very confident that if we must go to court that we will win; our team is excellent and we have prepared for far too long. However, going back to court is the last thing that Robert and I want, especially with our baby boy on the way! Please join us and pray for long-term peace for both families and the children. We are sorry to disappoint every one over the next two weeks by not posting anything new, however we anticipate the next two weeks to be very intense from a preparation and time management standpoint. We will have one single posting during this time in regards to promoting the upcoming Van Buren Equal Parening Symposium. There are many speakers scheduled such as: 1) Minister Ronald Smith 2) Robert Pedersen 3) Jim Semerad 4) Carol Rhodes and many others!! The media will be present at this event and the attendance is already looking very positive. So stay tuned for this. 1) More than double of the sponsors already when compared to 2007. Several are quite large and one is a magazine!! 2) We have obtained two billboards to help promote this event - One will be located on Columbia Ave in Battle Creek, Michigan and the other will be located on Cedar St in Lansing Michigan. 4) We anticipate the media coverage to be almost double in scope including several national sources which we have been working on for some time. Did your court case go bad? Want to reclaim your rights as a parent? Do your kids miss you too? The well organized and funded nationwide launch of class-action lawsuits will soon be upon us. This is something that has been methodically planned for several years. Please consider adding your name to the class action lawsuit against your county to restore your parental rights. Visit the national page for more information. If you live in Michigan visit here. Congratulations to Ronald Smith for being added to the national board of directors! This is another page you might want to visit for more information. 2008 will be the year that changes everything - an even more impressive Family Preservation Rally in D.C., Michigan Equal Parenting Bill progression and the launch of the class-action lawsuits nationwide!! Always remember - It is a child's God given, fundamental right to be loved, guided, educated and nurtured by both fit and willing parents - to deny this is wrong. Yet another excellent show for Ronald Smith on TalkShoe! This weeks guest was Richar Farr with KRights Radio. Robin Denison joins Ronald Smith as co-host. The topic of discussion is undistributed collected child support - so what happens to the money? 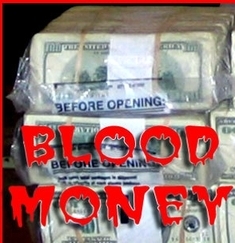 Listen to this highly informative and energetic interview which exposes corruption within the child support agencies. Zero download time! Also, if you have not visited KRights Radio with Richar Farr lately you will be surprised with the numerous changes and all of them make KRights Radio just that much more powerful! A must visit! Once again an excellent show by Ronald Smith! His guests on this show are Dr. Stephen Baskerville, Dr. Amir Sanjari & Carol Rhodes. THIS IS A MUST LISTEN RADIO INTERVIEW! SHOCKING! YES! DOES THIS TRULY HAPPEN IN AMERICA? YES! MICHIGAN? WORST IN THE COUNTRY! This is why we need Michigan House Bill 4564 as only the beginning to fix this problem. Right now! Even with the truth exposed! The Family Law Section of the Michigan Bar is opposed to a child's fundamental right to be loved, guided, nurtured, and educated by both fit and willing parents after divorce. This is so very sad that dollars are placed above children. Michigan Democrats have also been opposed to equal parenting legislation and they thrive on government intrusion into our families. Sad that some parents let their attorneys make decisions about their children and that parents can not move beyond the pain of the divorce. Please help spread the word about this shocking interview and help us expose the truth! After listening to this interview please buy Dr. Stephen Baskerville's new book "Taken Into Custody: The War Against Fathers, Marriage, and the Family". There is a reason why this book has sold out on Amazon.com!!! We received quite a few compliments on the editing of this video on our main video page for the Equal Parenting Bike Trek so we thought we would post it again on DaddyBlogger. 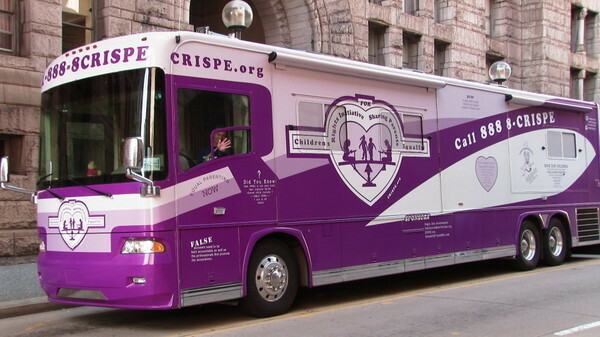 Fathers4Justice, Equal Parenting Bike Trek and CRISPE swarm a PA courthouse! 2nd Annual Family Preservation Rally - The Equal Parenting Bike Trek Crew Will Be There! 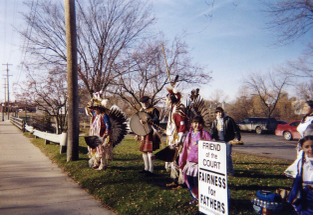 August 15,16 &17 2008 are the dates for the 2nd Annual Family Preservation Rally! This is a must attend event, so make sure that you schedule this off of work now. 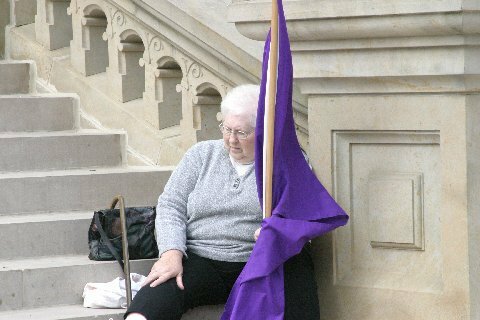 You can check out the homepage for the DC Rally 2008 for updates on this. The EQUAL Parenting Bike Trek Crew will be there! Robert Pedersen, Robb MacKenzie and Brian Downs, Esq. 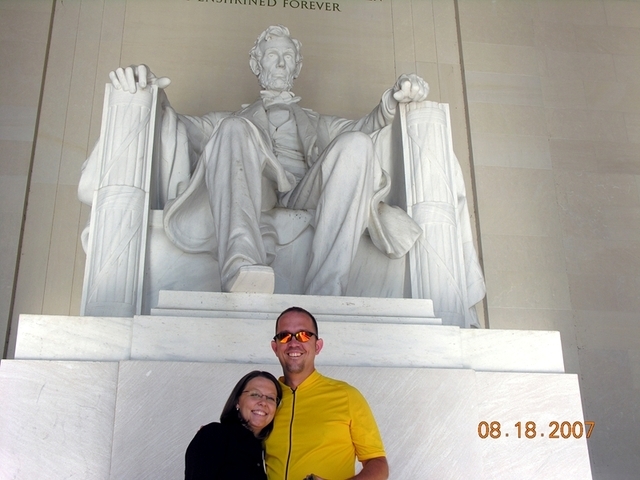 will be leaving Lansing, Michigan on August 9th 2008 for the 758 mile trip to Washington, D.C. Yes! We have an attorney joining us on this intense cycling trek. The 2008 Equal Parenting Bike Trek will receive even more press than the 2007 trek! We even have some billboards that we will be putting to good use in Battle Creek and Lansing to help promote the event. We already have roughly double the number of big sponsors set up to help with the cost of this amazing event! Robb MacKenzie - "4-6 Days a Month is Child Abuse. Learn the Truth"
Robb MacKenzie, Equal Parenting Bike Trek cyclist, in front of a Philadelphia, PA courthouse. Robb directed a large amount of traffic to both DaddyBlogger.com and Cycling4Children.com that day. Phillip Wurm, West Michigan Regional Director of A Child's Right, is once again published by a Michigan newspaper. Phil's editorials are very well written and this is just one of the reasons why he has been published in over 40 newspapers throughout Michigan. Think child custody evaluations are fair in Michigan? Think again! Phyllis Schlafly does an excellent job explaining how Title IV-D federal incentives make children fatherless. Lary Holland, a national Title IV-D expert, explains how these federal welfare incentives, and NOT "the best interest of children", drive the results of child custody evaluations. ALL TAXPAYERS PAY MONEY TO THE FEDERAL GOVERNMENT, WHICH IN TURN ARE USED TO PAY STATES AND FAMILY COURTS THIS LUCRATIVE INCENTIVE TO STRIP A CHILD AWAY FROM ONE OF THEIR FIT AND WILLING PARENTS. Why do most people who have been through this system vote Libertarian? Government intrusion into our families has reached an all time high! Parents, and not attorneys and state governments, should decide what is best for their children. Ultimately the better you are able to get along with your ex, the better off your children will be. The divorce is difficult enough for children, so do not deny them the God given right to be loved, guided, nurtured and educated by both fit and willing parents. They will thank you for this someday. If you would like to learn more about what is described above we would suggest that you buy and read the following book. The research is quite extensive. 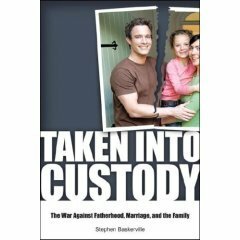 Taken into Custody: The War Against Fatherhood, Marriage, and the Family by Dr. Stephen Baskerville, Ph.D.
Memorial Day Madness. Have Americans Forgotten the Meaning Behind This Holiday? Why do the majority of people support Equal Parenting? A Child's Right Radio Ad - Our Radio Ad! Martin Luther King Jr: Have We Learned from the Past? Michigan Democrats and HR 162: Have Families and Children Been Betrayed? States and Family Courts Profit from the Creation of Non-Custodial Parents! Ask Christy - Learn about Parental Alienation from those who suffer the most. Many of you may be familar with a friend of ours Bessie who runs the organization Three Sides to Every Story. Her granddaughter has launched a website to help inform others of the damaging effects of parental alienation on children. This incredible website is called Ask Christy. In the end, the children learn the truth about the other parent. If the other parent prevents a child from being loved, guided, educated and nurtured by the other fit and willing parent the truth will eventually be exposed and known to all. Was the other parent fit and willing? Yes. Do courts and the friend of the court overwhelmingly give custody to mothers? Yes. Did the other parent ask for additional time with the children? Yes Was it denied? Yes. Who is harmed the most? Children. Who else is harmed? The non-custodial parent, grandparents, aunts, uncles and so many more. This is why in poll after poll people are demanding equal parenting rights. The truth will set you free! Stop using kids like property during divorces. Stop using kids to hurt your ex-spouse. Six days a month with the other fit and willing parent is indeed child abuse. Support Equal Parenting and stop the harmful effects of parental alienation. Be sure to check out the above two websites. So much fun it will be hard to wait for 2008! Who would you obtain for a custody battle? In preparation for my husband's upcoming child custody case we hired several experts, at significant cost, in addition to an attorney. We have researched the "who's who" that we would bring into a child custody battle and one expert which we have hired is Dean Tong. He is just one of the many experts that you will need going into a full-blown child custody case. I am not an attorney so you must decide with your own attorney on who to hire as your experts leading into a child custody court case. We have been very satisfied with Dean Tong. Dean Tong is not only a respected forensic trial consultant, but he also brings plenty of media attention where ever he goes which is what you want. In my opinion of course. Again, I am not an attorney so you will have to figure out what is best for your case. Dean Tong is an author of three books and very soon an additional two more books will be published that he has authored. Dean Tong has appeared on numerous TV shows such as Dr. Phil, Montel Williams and many more. Dean Tong has appeared on over 2000 TV and Radio Talk Shows as an expert guest. Dean Tong has consulted on the Elian Gonzalez case and scores of other high profile cases. He has been very professional in helping us so far and we expect that trend to continue. So far we are very impressed with Dean Tong and will keep you posted. In addition to a trial consultant, I would also recommend hiring an expert on Parental Alienation, a top notch polygraph examiner, a registered custody evaluator, and a private investigator. Each of these will cost a significant amount of money, but if you are going to court to win you should examine hiring each of these with your attorney. These are only my personal opinions and you should always consult an attorney for your own case. I am not an attorney. I am simply a Registered Nurse, an equal parenting advocate, a step-mom and very soon a mother of a beautiful child. If you want to win make sure you go to court with an attorney, a trial consultant and numerous experts. 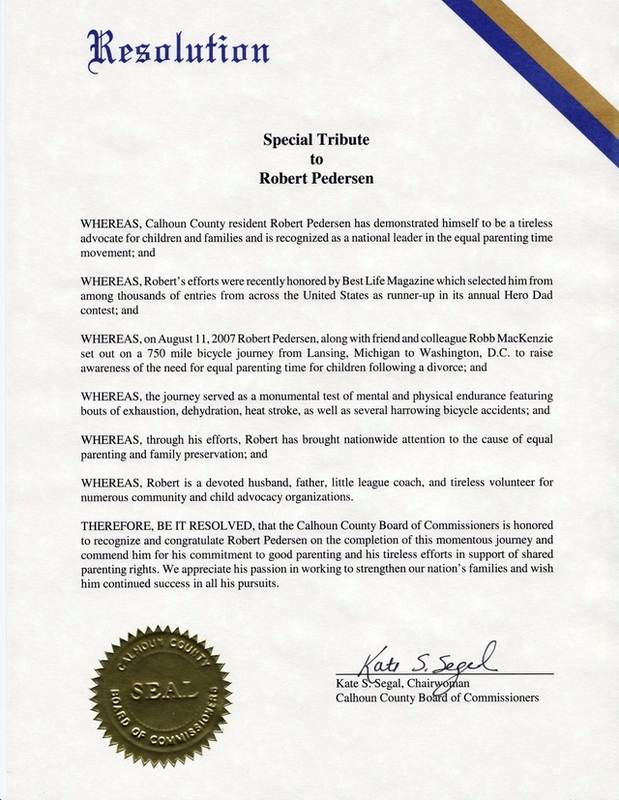 Robert Pedersen received formal recognition and an award by Calhoun County Michigan on September 20 2007. This was such an honor for Robert and he stated that recognition by a magazine read by 3 million people (Best Life) was great, however being recognized by your local community is even more of an honor. Robert spoke briefly, because of the Calhoun County Commissioners' full agenda that evening, and was given a lengthy applause after he spoke. This was a wonderful evening for everyone.